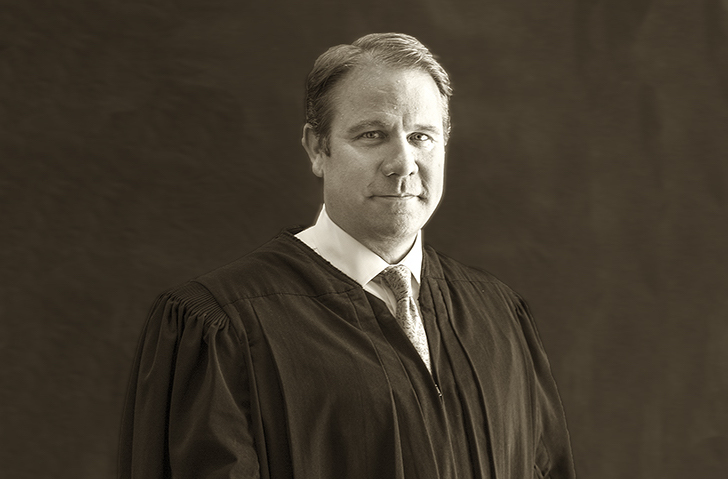 Justice Lance Walker of Falmouth will serve in U.S. District Court in Bangor, if approved by the U.S. Senate. President Trump has nominated a Maine Superior Court judge to serve on the federal bench. Justice Lance Walker of Falmouth has served on the Superior Court bench since 2015 after having been named a Maine District Court judge the year before. If confirmed by the U.S. Senate, Walker would be assigned to the U.S. District Court in Bangor. On Tuesday, both of Maine’s U.S. senators – Republican Susan Collins and independent Angus King – voiced their support for Walker’s nomination to the federal court. Gov. Paul LePage nominated Walker to the District Court in 2014, where he served primarily in Androscoggin and Oxford counties. A year later, the governor nominated Walker to the Superior Court bench, and he was based in Portland. He presided over several high-profile cases during that time, including the case of an anti-abortion protester who was charged with yelling so loudly outside a Portland clinic that he could be heard inside, as well as charges against Black Lives Matter activists who had blocked traffic.